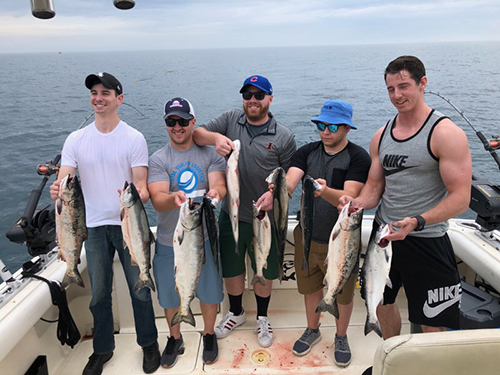 Lake Michigan – Fishing has been fantastic one day, spotty the next. If you can find a pod of fish and stay on them you are in for great fishing. This past week, we have had the best luck in the near shore waters from 60-100 feet of water. We are still running similar setups to what we have run the last few weeks. We are still running white flashers with little boy blue Poseidon flies but have also added Musselhead meat rigs behind 10in Spin Doctors to the mix. 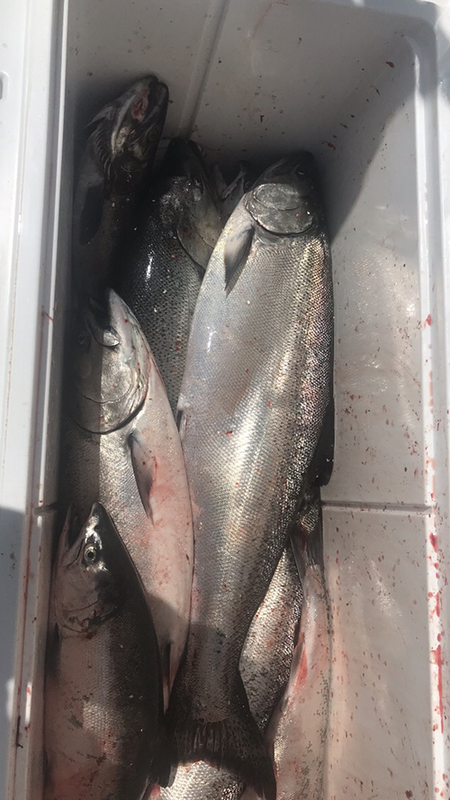 We still keep a couple coho rigs on short cores which have taken both coho and rainbows. The strong N/NE winds we have had the last couple days will certainly change things up. Follow us on Facebook and Instagram for pictures and reports. Tight lines and good luck! !